PDF Converter ++ is the OCR version of PDF Converter Master, which lets you quickly and accurately convert PDF files into 16 common document formats, including Microsoft Office (Word, Excel, PowerPoint), iWork (Pages, Numbers, Keynote), EPUB, plain text, Rich Text Formats, csv and 5 image file formats. You don't need to spend hours typing and tweaking the formatting thanks to the high-level accuracy of content and formatting retention. With advanced OCR functionality, you can extract text content out of scanned PDF file and get an editable Word, PowerPoint or Text document. 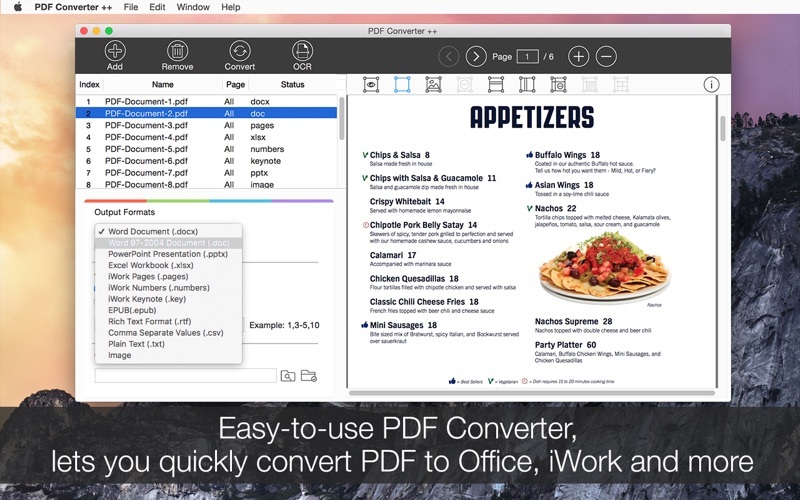 A all-in-1 PDF Converter includes the major office document formats (docx, doc, xlsx, csv, pptx), iWork (Pages, Numbers, Keynote), EPUB, rich text format(.rtf) plain text (.txt) and image (.jpg, .png, .bmp, .gif, .tiff). Preserve original font style, color, size, graphic, table and page layouts as accurate as possible. So you don’t need to spend hours tweaking the output documents. 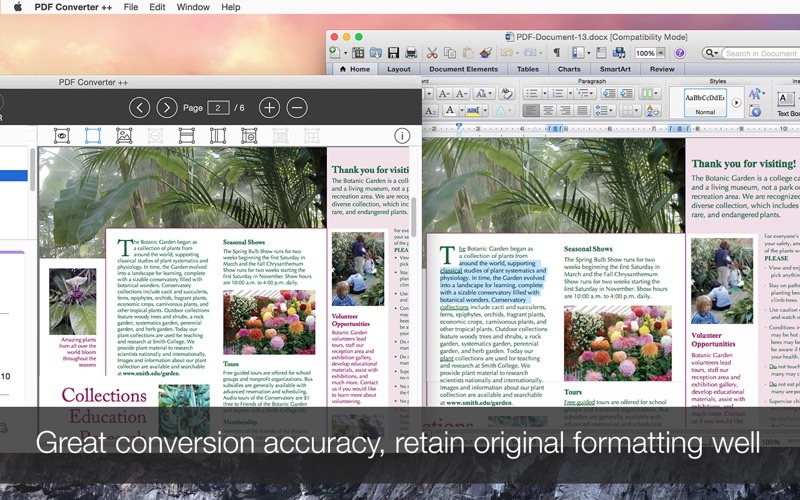 - OCR lets you extract text even if the text is contained in an image. 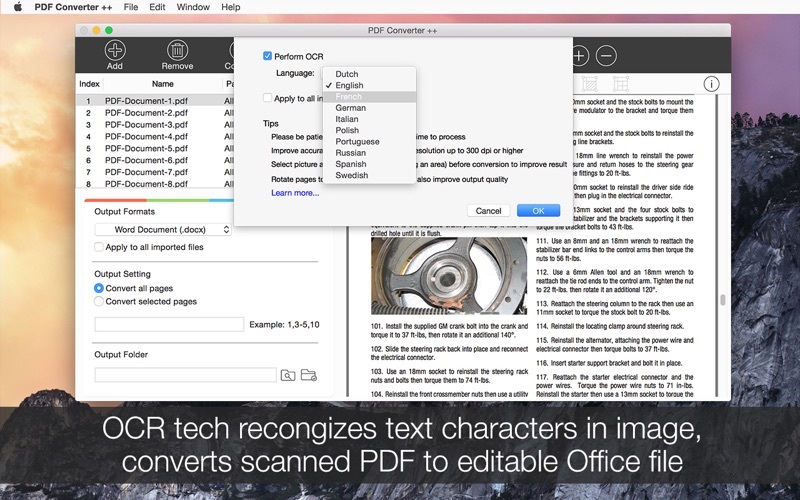 A must-have function for converting PDFs that were created by the scanner. 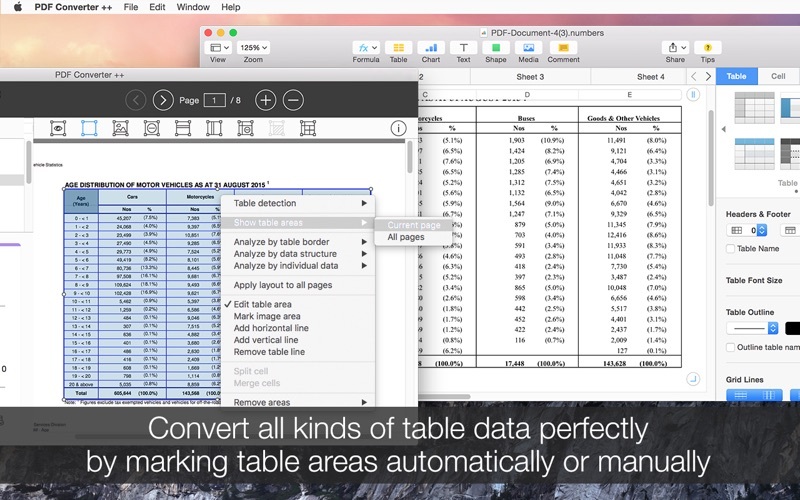 - OCR is only available for PDF to doc, docx, xlsx, pptx, csv, rtf, txt. Currently does not support iWork Pages, Numbers, Keynote. 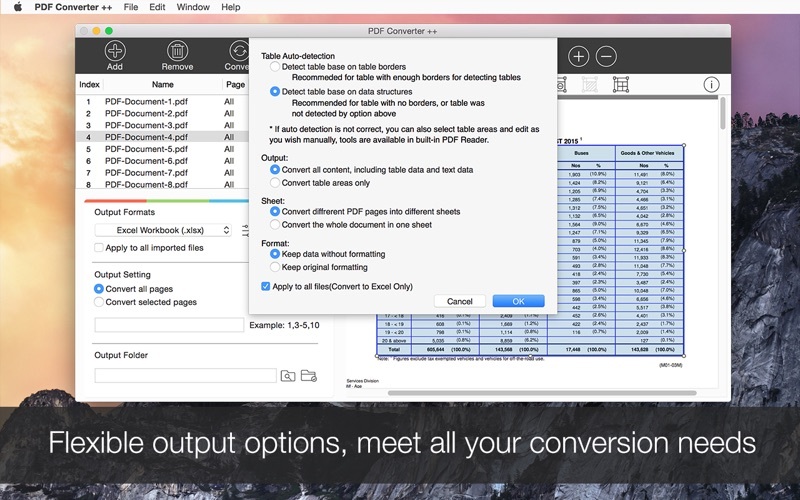 PDF Converter ++ can convert unlimited PDFs in extremely fast speed. You can convert only particular pages to free yourself from unnecessary waiting. Flexible output options for different output formats, you can even mark table or graphic areas for better accuracy before conversion.